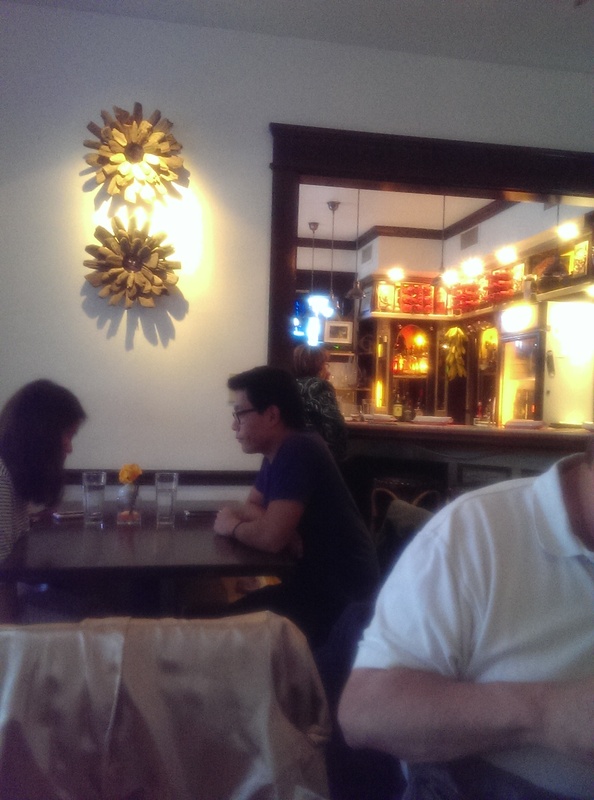 Batuqui on Larchmere Boulevard does a good job filling the void left by Sergio’s Sarava. It moved into the charming restored Victorian house that used to house the Vine and Bean. The building is small yet cozy with lots of dark wood molding. I easily found parking on the cross-street and simply crossed the street to meet my dining companions. We were greeted warmly and seated in the back room, but they happily moved us to the front room once another larger table left (two of my dining companions needed chairs with backs due to various health issues, so the bench seating wasn’t a good choice – it’s worth mentioning if you have an issue). 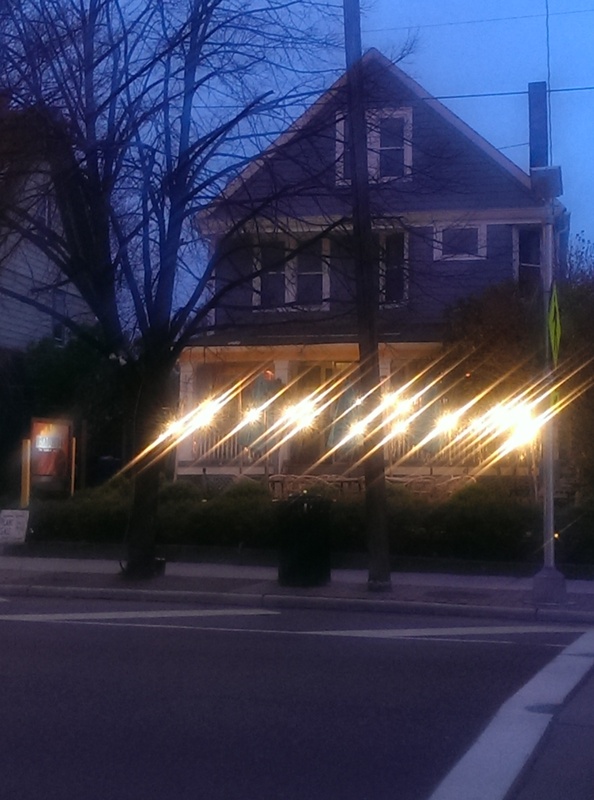 Once comfortably situated the service, food and atmosphere all exceeded our expectations. 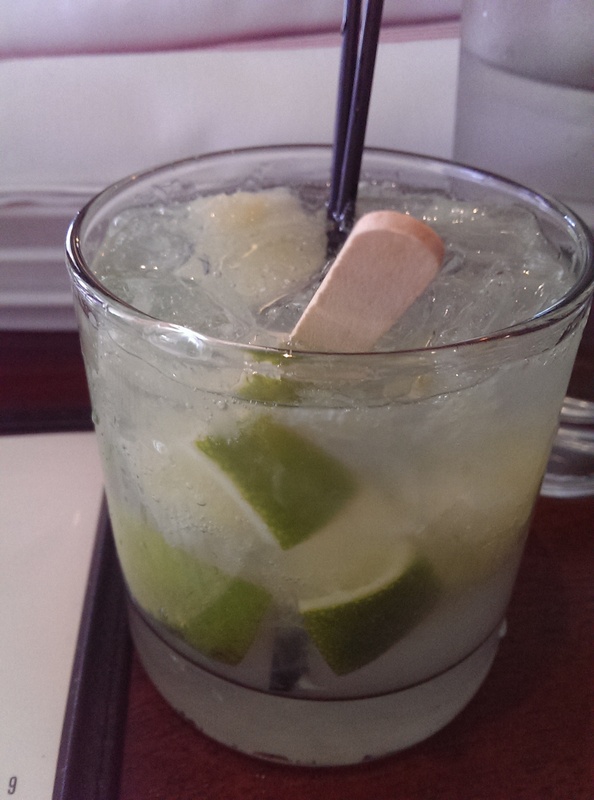 When in Brazil order a caipirinha. Caipirinha is Brazil’s national cocktail, made with cachaça, sugar and lime. Cachaça, also known as pinga, caninha, or any one of a multitude of traditional names, is Brazil’s most common distilled alcoholic beverage. It is one of my favorite alcoholic beverages, and it is executed here perfectly. It is worth noting that a lot of the entrees are dairy-free and gluten-free. I am definitely keeping this place in mind for dining out with my DF/GF mother. Dietary choices are well-marked in the menu, which I love. 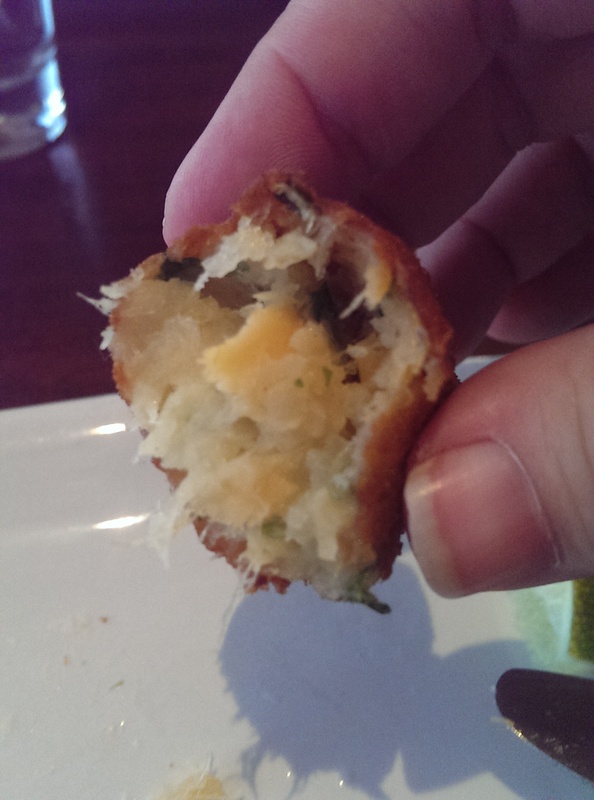 I ordered the Bolinho de Bacalhau (cod fish croquettes) with the table. They were perfectly fried, not too greasy, and the filling with light and fluffy. I loved that they served lime wedges with it. 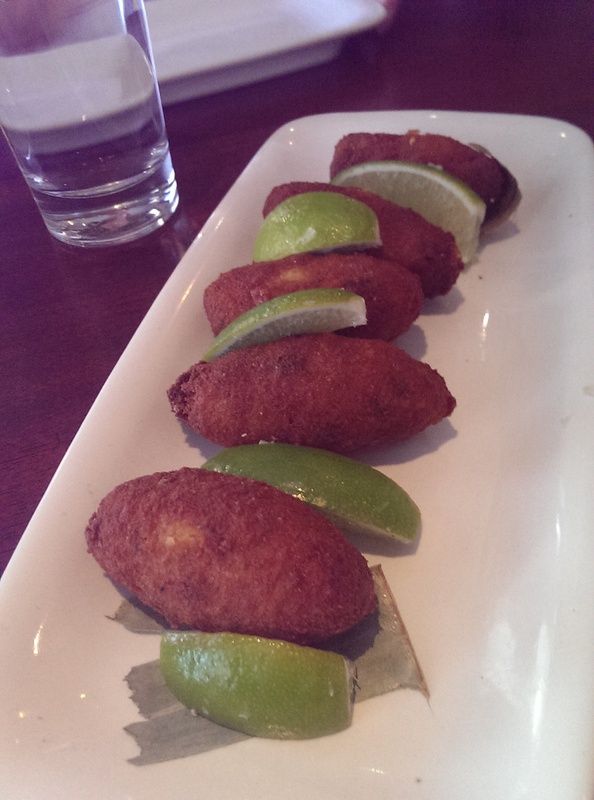 The lime was a very nice complement that brightened the croquette. I very much enjoyed this appetizer and can recommend it. My vegetarian dining companion also ordered some fried yucca without the linguica sausage. It too was really delicious, very creamy and flavorful. The photo isn’t very appealing so I’m not posting it, but the taste was great. I had a tough time deciding on my entree. 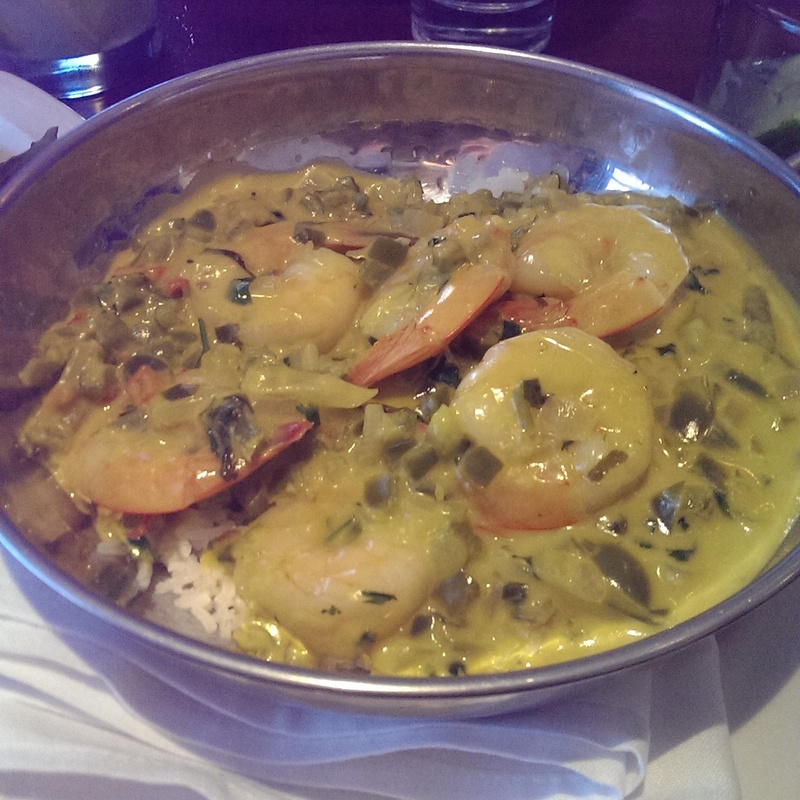 While I love a good Fejoida I was very curious to try the Moqueca Baiana. It is a seafood stew with either shrimp or fish or both and cooked with tomato, green pepper, coconut milk and dende oil and served over white rice. I chose the version with shrimp, and I am so glad I did! I loved every bite of this. The creaminess of the coconut milk worked really well with the shrimp, and the seasoning was perfect. The portion size was also ideal. I didn’t need to take home any leftovers, but I also wasn’t too full. 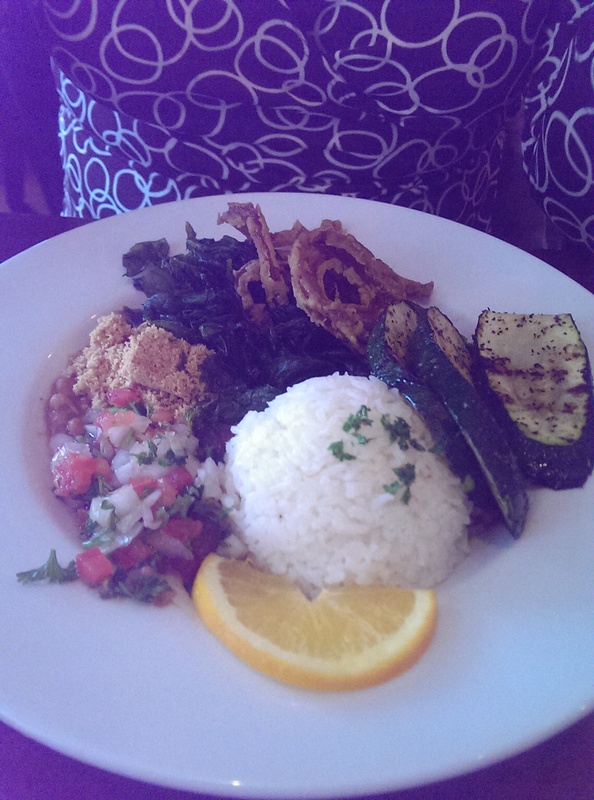 My vegetarian friend ordered the Prato Misto, a savory vegetarian dish of pinto beans, Brazilian rice, red onion rings, seasonable vegetables, farofa and fried spinach. It is dairy-free, vegetarian and can be vegan. She loved her meal except for the strange flash-fried spinach, which she found a bit off-putting. One of my pickier dining companions ordered Carolina’s Pasta, which features fettuccine pasta mixed with seafood, tomatoes, onions in a cream sauce. Her version had calamari, which were perfectly cooked and not at all rubbery, but the current version features shrimp and smoked salmon. She enjoyed the flavor and I liked the bite I had. They have several delicious-sounding desserts, but we were too full. The caramel flan and the passion fruit mousse both sound amazing. They also serve fresh fruit with passion fruit glaze for those who like fruit for dessert. Since I love a good Brazilian steakhouse I can’t wait to go back and order either the Linguica sausage or the Picanha steak. I might even order the Churrasco Misto, which features top sirloin, chicken and sausage, if I can’t decide which I am in the mood for. Since the place is tiny it is highly recommended to make a reservation. An 18% gratuity is automatically added for groups of 6 or larger, but since we usually tip 20% and up (lots of former servers and restaurant workers in the group) that isn’t a problem for us. I wanted to mention it in case it is an issue.